Nuno Galopim has been confirmed as the Portuguese commentator for the Junior Eurovision Song Contest 2018 in Minsk, Belarus. Nuno Galopim has confirmed that he will be returning to the commentary booth, as he provides coverage of the Junior Eurovision Song Contest 2018. The presenter confirmed the new yesterday with an appearance on an RTP chat show with Rita Laranjeira. It is not known whether Nuno will be commentating alone or be joined by a second person. 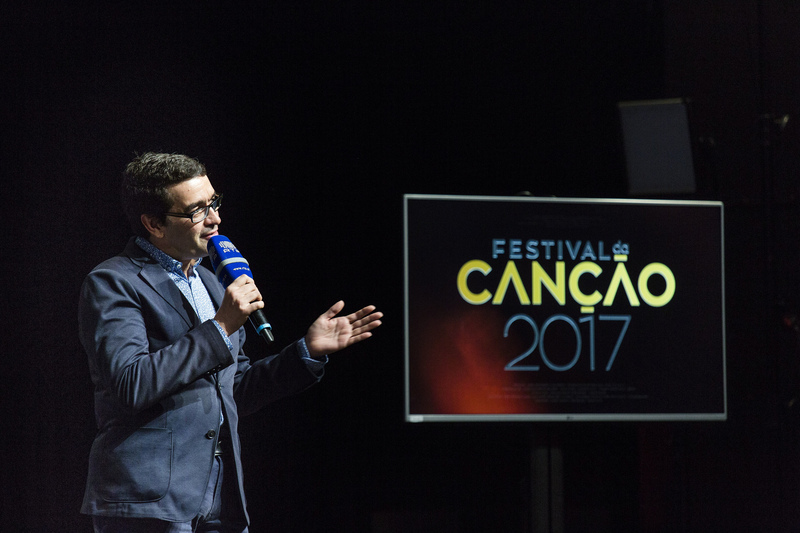 He has been providing commentary for the Eurovision Song Contest since 2017 and took on the same role when Portugal returned to Junior Eurovision last year in Tbilisi, Georgia. Thirteen-year-old Rita Laranjeira was born on 3rd March 2005 in Sintra, Portugal. The young singer is no stranger to singing on stage, as seen in her YouTube videos, which feature her many stage performances over the past year. Earlier this year she also participated in the final of Kids Music Fest in Portugal. At the live auditions, which took place earlier this year, Rita performed covers of “Eu sei”, “Somewhere Over the Rainbow”, and “I Surrender”. The professional jury panel reviewed Rita and nine other artists’ performances before ultimately crowning the young singer as the winner. Portugal debuted at the 2006 edition of the Junior Eurovision Song Contest in Budapest, Romania. The country placed second-last that year and the year later, before withdrawing in 2008. They were not to return until 2017 where they were represented by Mariana Venancio, who placed 14th with her song “YouTuber”. Wales, Junior Eurovision 2018Wales: Manw to Be Joined By Four Dancers on Stage? France, Junior Eurovision 2018France: Angélina Gives First Live Performance of "Jamais sans toi"